Founded in 1982 in New Jersey by Rebecca and Dan Matthias, Destination Maternity is the world’s largest retailer and designer of maternity clothing and apparel. The store is currently headquartered in Philadelphia and distributes items to over 1,900 locations. They also operate a website and several other brands. Motherhood Maternity, A Pea in the Pod, Oh Baby by Motherhood, Edamame Maternity Spa, and Two Hearts by Destination Maternity are all a part of the Destination Maternity family. When you’re planning for a new baby, expenses can add up quick. Getting new clothing to accommodate your changing body is one of those expenses that often gets overlooked. 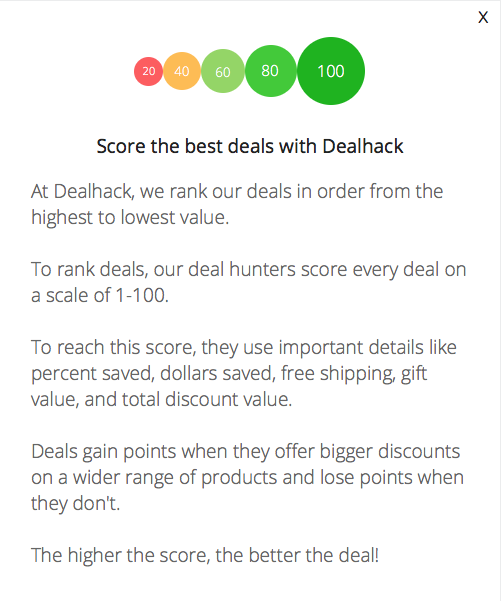 That’s where Dealhack comes in. We want to help you save money on maternity clothing. So we’ve dedicated ourselves to finding and sharing all the best Destination Maternity coupons. Right here on this page is where you’ll find all of the ways to save at Destination Maternity that we know about. Depending on the time of year, you can find free shipping offers and coupons for a percentage off your order total. Destination Maternity has clothes for every occasion. Whether you’re looking for tops, coats, dresses, sleepwear, lingerie, or swimwear, you’ll find it there. If you need t-shirts, tank tops, sweaters, and blouses, look no further. You’ll also find designer jeans, pants, and shorts. If you’re pregnant during the colder months, pick up a jacket and some sweaters to keep you and the baby cozy. For warmer weather pregnancies, look into some maternity bikinis, cover-ups, and one-pieces. Of course, you might still want to stay active during your pregnancy. If that’s the case, look into Destination Maternity’s activewear section, where you’ll find t-shirts, hoodies, and yoga clothes to hit the gym in. They also have a section for business attire. If you work in a professional setting, pop into the business wear section to find outfits for the office. If you have any questions about products available online or how to order, call Destination Maternity at 1-800-466-6223. You can also follow them on Facebook and Twitter to be the first to know about new offers and see great new looks you can create when you shop in their online store. Are you ready to purchase some fashionable clothing that will fit properly? Visit Destination Maternity online today and enjoy your savings with these coupons. Join the Perks Savings Program to receive coupons that are worth up to $400 in savings. You can purchase gift cards for expectant and new moms on the website. They offer free shipping on all gift card purchases. Check out the New Mom Checklist from Destination Maternity to make sure you have everything ready for when your baby comes. Do you want to try things on for size? Use the handy store locator on the site to find a location near you. You can also use the size chart to enjoy shopping from the comfort of your home. What is Today’s Best Destination Maternity Promo Code? The best Destination Maternity promo code right now is STYLE50. This code is for '50% off select Maternity and Nursing Styles'. Copy it and enter it on the Destination Maternity checkout page to use it. Free shipping is available on all orders totaling $125 or more. International shipping is available. You can return or exchange any unworn, unwashed items with the tags still attached within 30 days of your purchase. All final sale and special occasion items cannot be returned or exchanged.